My favorite thing to do this winter is homegating with my friends! Now that we are living in Pennsylvania, I prefer to stay home and watch the game instead of going out when it's cold! 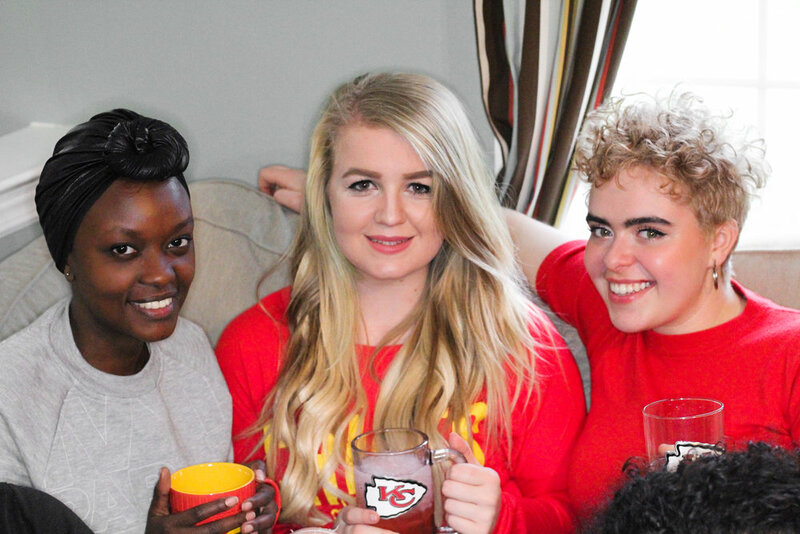 We absolutely love the Kansas City Chiefs, so during the playoffs we threw a homegate party at my house and it was so fun! Here are three things you need to throw a successful homegate. What is a party without inviting your best friends and family?! Before you throw your party, make sure everyone can make it. Once the RSVPs start rolling in, you'll also be able to prepare for how much food, drinks, and decor you will need for the big game! I absolutely love how the NFL brings us together to support the team we are all passionate about! Cheering on the Kansas City Chiefs in the comfort of my own home can be even more fun than going out! I love homegating at my house with all of my friends and family in attendance. My friends and I LOVE making margaritas -- they are our go to at every party! To go with our Kansas City theme, we made Strawberry Margs with Straw-Ber-Rita and Lime-A-Rita at our homegate and they were a crowd pleaser. Straw-Ber-Rita and Lime-A-Rita are my favorite things to drink at a party! Not only are they great to drink out of the can, but I also love to add them to my mixed drinks. 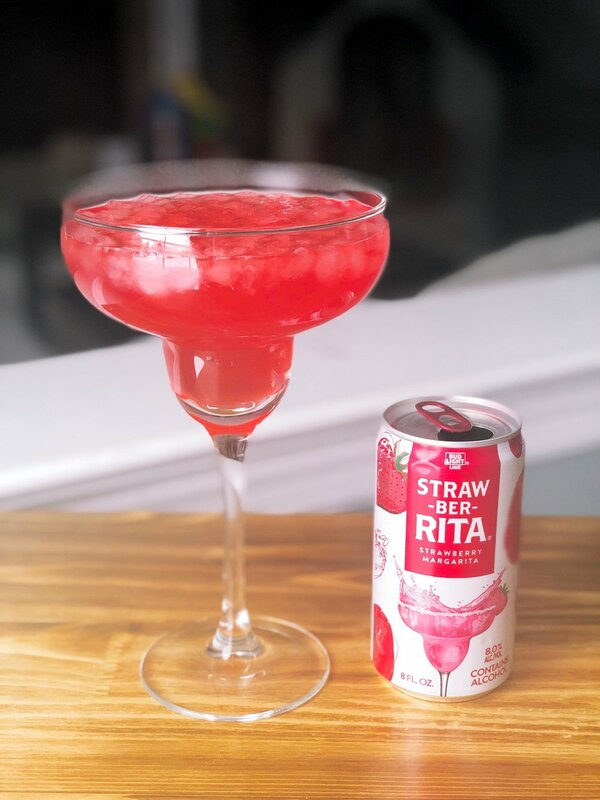 Creating this strawberry margarita drink with both Straw-Ber-Rita and Lime-A-Rita was so fun and tasty! These are SO easy to make! 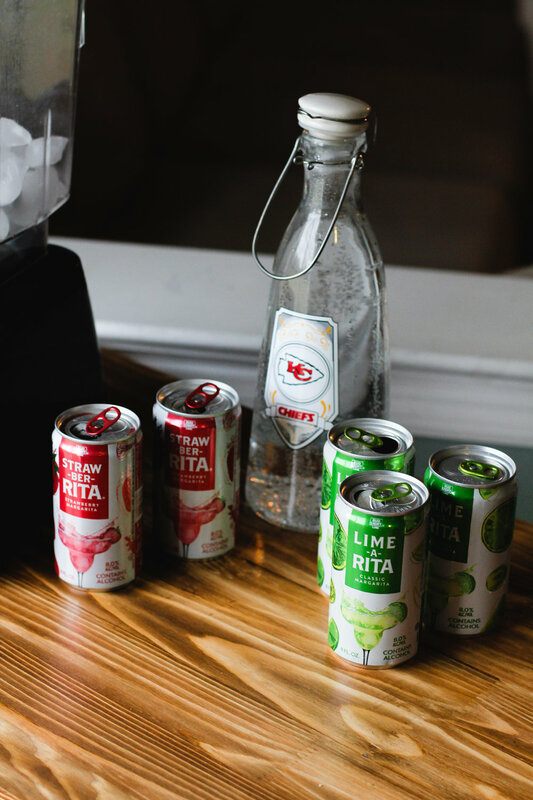 Simply blend Straw-Ber-Rita and Lime-A-Rita with your favorite soda, seltzer water, (and ice if you like them frozen like we do)! You can also add fresh or frozen fruit for fun! Blend Straw-Ber-Rita, Lime-A-Rita, lemon-lime soda, and seltzer in a blender. Add ice to make frozen margaritas! Serve cold in a margarita glass and you’re done! NFLShop.com gives you all the football flair you need to throw the ultimate party! 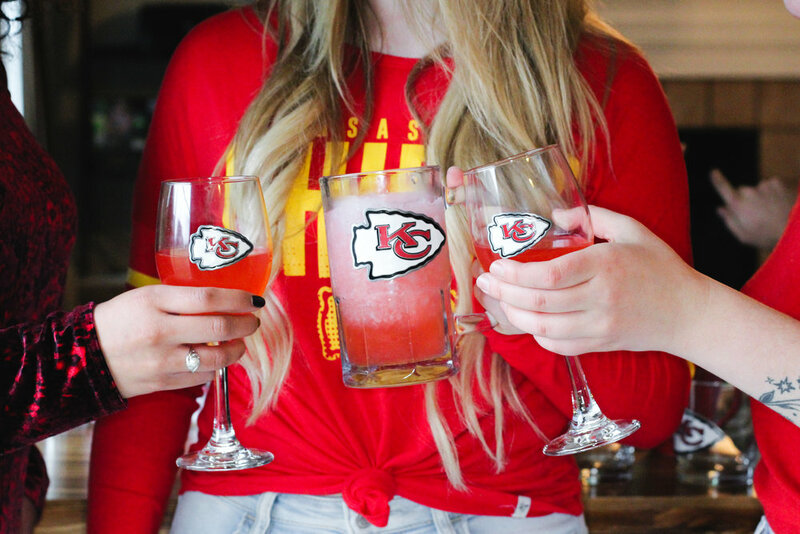 From cutting boards to blankets to drinkware, the NFL Homegating collection has everything you need and more to show off your fandom all year round. Give all of your guests NFL glasses for their drinks (more on this later) to make your event even more fun! We love using our Kansas City coffee mugs all year, not only during football season! 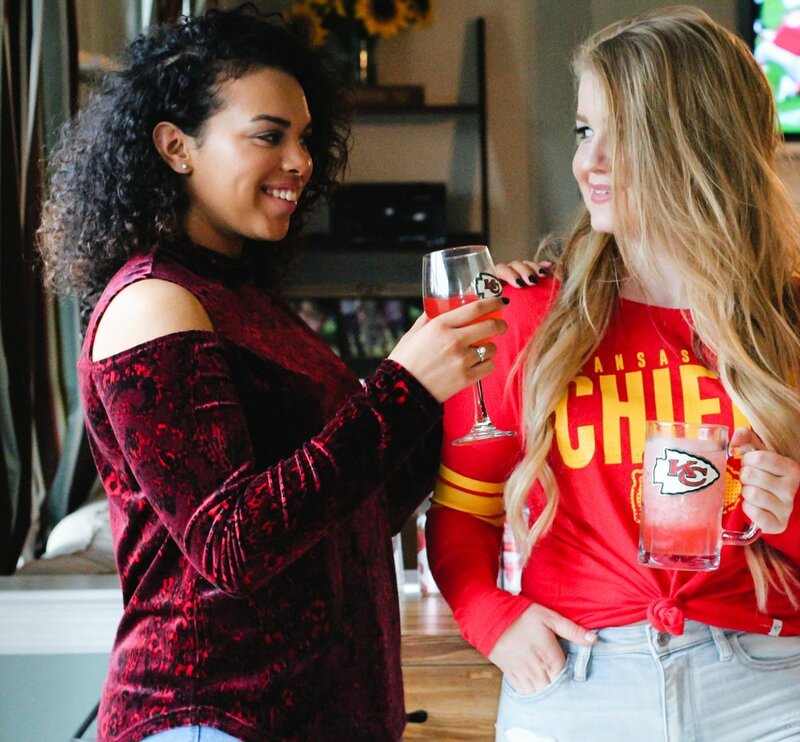 The best of friends, great drinks, and amazing decor is everything you need to throw the BEST homegate during football season! Comment your homegating must haves in the comment section below.